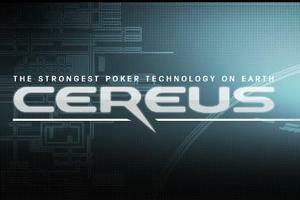 Cereus Poker Network Secure Their Network, Again. The Cereus Poker Network got a shock a few weeks ago, when an online poker site contacted them to reveal that they had been able to decrypt their security within their custom software, revealing information that could have created a large number of ‘Super Players’. After the story came to light, the network assured players at both UltimateBet and Absolute Poker that they were working on the issue and that there had been no indication that any players within the network had been able to do what had been revealed. Needless to say, the trust of the online poker network and all sites within their reach, has fallen significantly and with trust been a major factor for so many online poker players when selecting which online poker room to play at, traffic fell alongside the trust. Yesterday it was revealed that Tokwiro Enterprises, the parent company for the Cereus Poker Network brand, had successfully completed their alteration of the sites encryption, deciding to scrap their custom SSL encryption in place of Open SSL encryption, something that can be found on most of the biggest online poker rooms in the world. The online poker network is going to have to work very hard in order to retain their members this time, with the poker community already talking about where they are going to move their accounts to. This entry was posted on Wednesday, May 19th, 2010 at 11:27 am and is filed under Poker Industry News. You can follow any responses to this entry through the RSS 2.0 feed. You can leave a response, or trackback from your own site.